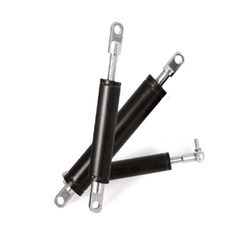 Hydraulic dampers are used to control traverse rates. They can control the parallel feed in both directions or be used as a compensating element for moving loads. As a security element, they prevent the sudden retraction of devices. Usage: defense, medical, packaging, bottling, printing, fitness equipment, transportation, RV. ... is the collective term for pulsation dampers, suction flow stabilisers, shock absorbers and silencers (fluid silencers or noise dampers). Pulsation dampers are comprised in general of bladder, piston and diaphragm accumulators, either with or without blocks guiding the fluid current in and out. Sequoia Safety Products Pvt. Ltd. Being a client-centric firm, we are engaged in manufacturing and supplying premium grade Lateral Hydraulic Dampers. These are manufactured from excellent quality material, which is procured from our trusted vendors with the support of our procuring agents . Velocity max: 100 Kgf- 2500 kgf at up to 0.6 m/s velocity max. Our company has set benchmark in providing Hydraulic Damper. The HYDROLASTIC damper reduces rotary oscillation in accordance with the hydrodynamic extrusion principle. 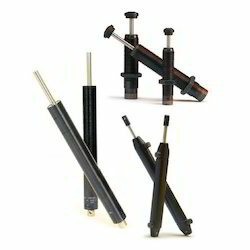 Engaged in providing products such as hydraulic dampers.